Want to use this calculator on your site? What is Group Health Insurance Plan? As a dedicated business owner, you always keep an eye out for variety of things and make strategic decisions to make you stand out from the market competition. However, in today’s fast-paced business environment, we may forget how important it is to take care of people who contribute to financial growth of your company, your employees. With a simple, yet, comprehensive group insurance policy for small business you are demonstrating that you are interested in your employees’ wellness, security, and future! Also, your company will gain a competitive edge by keeping your workers loyal to the company! Healthcare and dental benefits are vital component of any group benefits plan. They will help your employees pay for professional services that are not covered by their provincial insurance policies. At Arbetov Insurance, we want to ensure that you get the right benefits plan for your business and your employees. We will offer a plan that balances the the needs of your employees with the price your company is comfortable with. The best thing about getting a flexible insurance as a business owner is that your benefits package will be tailored around the specific needs of your company. 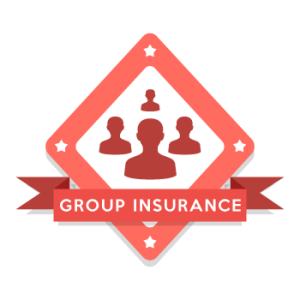 Our company is proud to offer you group insurance products that you have the flexibility to customize based on your own needs! You can choose to include extended health care benefits along with dental care benefits, disability coverage, critical illness insurance, accidental death and dismemberment benefits as well as life insurance among other available addons. Group Plan Benefits Solutions for Small Business is a fantastic opportunity to provide affordable health care benefits to your workers without having to break the bank. Whether your business is just starting out or you just like to keep things simple and affordable, we offer you a great selection of options ranging from basic plans to specialty products. Every client is valuable for us. Even small organizations with 3 to 10 employees can benefit from the specially designed Small Business Group Benefit package  a comprehensive option that can sustain and develop your business success. The package will reduce costs in comparison with individual insurance plans; in addition, your premium may be tax-deductible as a business expense. Secure your employees today by providing them with financial security and increase their morale, productivity and loyalty to your company! Our company is in partnership with all leading insurance providers in Canada. There is the option to add life and disability benefits for groups of five or more. Please send us the request with your name, company name, phone number and email. We can also improve you health and dental benefits for free by opening the Health and Welfare Trust for your corporation. The cost is $200 for the corporation.